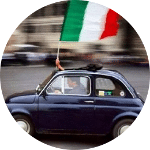 Today we would like to speak about the Italian Colours considering them like Adjectives. Actually they are – in grammar – adjectives. Analysing their terminations we will have analised ate the same time the Italian Adjectives Terminations. So let’s speak about the Italian Adjectives Terminations through the Italian Colours. 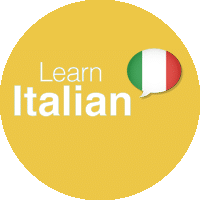 In Italian there are two groups of adjectives and each group has its specific terminations. There are adjectives (and colors) that are under the first Group, and adjectives (and colors) that are under the second. To this Group belong the colours like BIANCO – GIALLO – ROSSO – AZZURRO – GRIGIO – NERO. These adjectives change their terminations according to the gender (feminine or masculine) and the number (singular or plural) of the noun they accompany. – O , when the adjective accompanies a masculine singular noun. (Example: Un tavolo bianc-o). To this Group belong the colours like VERDE – ARANCIONE – MARRONE – CELESTE. These adjectives change their terminations ONLY according to the number of the noun they accompany. – E , when the adjective accompanies a MASCULINE or a FEMININE singular noun. (Example: Un tavolo verd-e / Una casa verd-e). In orfer to have a final review about the topic of the day, The Italian Adjectives Terminations, please watch this video here below. 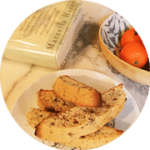 Also, this post is part of a Full Italian Course for beginners available here: Italian Video Course for Beginners.